On July 10, a 71-year-old man passed away as a result of a bacterial infection after eating oysters at a Sarasota, Florida, restaurant. The Florida Department of Health says that the illness was caused by the bacteria vibrio vulnificus which can be contracted by consuming raw shellfish, especially oysters, or by exposing open wounds to the bacteria in seawater. The FDH says the elderly man had underlying medical conditions and died just two days after eating the tainted oyster. Vibrio vulnificus is sometimes labeled as a flesh-eating bacteria, however, it cannot attack healthy skin. Infections from the bacteria are rare according to the FDH, but they can be particularly serious for those with compromised immune systems. The name of the restaurant where the man contracted the bacteria hasn’t been released. The FDH recommends avoiding raw shellfish and staying out of brackish, warm seawater that the bacteria thrives in, especially if you have an open wound and/or a compromised immune system. How Are Food Poisoning and Product Liability Connected? Food poisoning results when a person eats contaminated food. It can be caused by toxins, viruses, parasites, or bacteria that come into contact with food during production or processing. Although most types of food poisoning lead to mild symptoms, in some cases, it can be deadly. In Florida, at least one in six residents experience the symptoms of food poisoning years, but some 3,000 Americans die from food poisoning each year. Cases of food poisoning typically fall under defective product laws. This means that a defective product (the food) resulted in your injuries (illness and any accompanying complications). In Florida, product liability claims involve strict liability. This means that you do not have to show that your injuries or illness was a result of the manufacturer’s negligence. Instead, you must prove that the restaurant’s defective product resulted in your illness or injuries. People can get food poisoning from school cafeterias, restaurants, and even at home. Most cases of food poisoning occur when a person purchases spoiled or contaminated food at the grocery store. Growing, processing, harvesting, shipping, storing, and preparing foods offer equal opportunities for harmful bacteria and other organisms to come into contact with our food. Although most food poisoning doesn’t pose a severe threat to one’s health, it can, in some people, result in death. Those most at risk include senior citizens, babies and young children, pregnant women, and those who are already sick. Food poisoning can result in life threatening symptoms and even death. When these severe cases occur, it isn’t a mistake, it is a matter of liability and negligence. 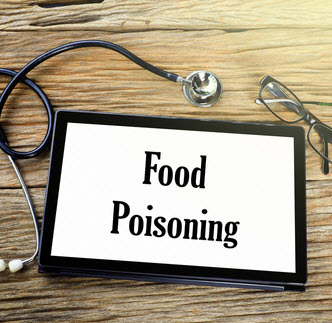 If you or your loved one has been hospitalized or died as a result of food poisoning, it is imperative that you contact a Florida wrongful death and personal injury attorney. The attorneys at Leifer Law Firm have been handling personal injury and wrongful death cases like yours for decades. Contact us to schedule a consultation and begin the process of getting the compensation that you could be entitled to.